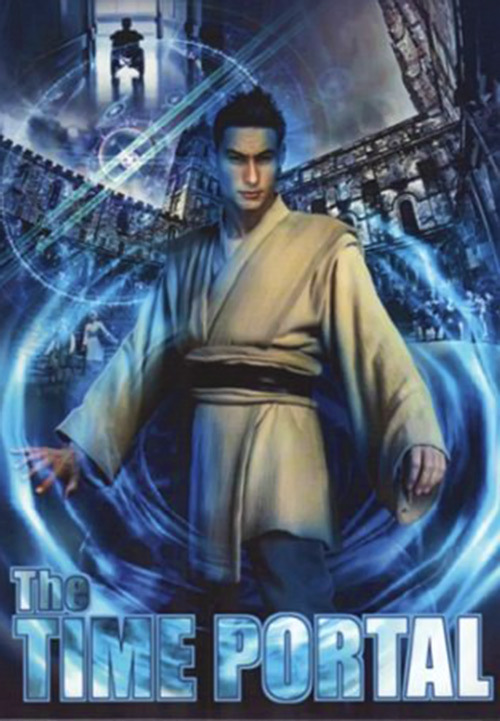 Campo is the hero of the Time Portal novels series, though only the first book is covered here. I’m finding these books, which began in 2012, to be wonderfully refreshing time travel stories that are innovative in some ways while lacking the cynicism that characterize so much of modern fiction. They are not deep. They are the 21st century equivalent of pulp adventures with a hero who almost never makes a mistake. This can be annoying at times but, in other ways, a wonderful modern take on a pulp hero. Real Name: “Lucky” Campo (real first name unrevealed). Group Affiliation: The CIA (tentatively). Base Of Operations: Mobile throughout time and the planet. Height: 6‘1” Weight: 170 lbs. Hair: Brown Eyes: Brown . Year of Birth: 1977 (Age 35 in 2012 when the main body of the story takes place). Lucky Campo was a highly successful jewel thief who was recruited by the CIA through a combination of threats, offers and blackmail. He had always been an honorable thief who only stole from those who deserved it or could afford it. He then spent several years stealing items for the CIA. But, in recent months, he became suspicious of his superior, CIA Director Dirk Sommerville, who was having him steal items that seemed to bear no relation to CIA business. Finally, Lucky’s luck ran out or so it seemed. He was sent on a mission to infiltrate a sixth story apartment and retrieve an item. Unfortunately, he got overconfident and tripped a wire as he stepped into the room. His training allowed him to realize his mistake even as it was happening and he leaped away from the impending explosion. However, it still caught him with enough force to send him ricocheting off the walls several times and out the window. He tumbled sixty feet down, his fall partially broken by clothesline wires, and landed on his head on concrete. Only a combination of some of the best surgeons and medical experts in the world saved his life. There was skull damage that had to be treated as well as endless broken bones. He spent 3 weeks in a comma and awoke in a full body cast, jaw wired shut and eyes covered. He did not know it at the time but his backup, Mickey, had called in a gang of his old friends from “the Neighborhood” to guard him in the hospital while he recovered on the suspicion that this may have been a setup. Unfortunately, once the initial danger was past, he was transferred to a CIA medical compound and their protection was no longer possible. Although he had awoken from the coma after 3 weeks, it was 3 months before he had healed enough to begin removing the casts and bandages. During that time, one of the nurses who visited him daily became something he looked forward to. Although he could not see her or respond to anything she said, her voice was soothing. He fantasized what she might look like though he knew it was just one of many things he thought about to stay sane while blind and immobile for so long. He had many scars but most of them were on the body, not the face. Clothing hid them well. There was scarring on the scalp and parts of the head but growing his hair long and combing it down over his forehead hid the scars well enough. Unfortunately, even in a room with all the lights out and the curtains drawn, the light getting into the room was enough to cause agony once the bandages over his eyes were removed. It was surmised that, when bone fragments were removed from the optic nerves, it caused an excess of the light spectrum to become visible to him. One of the doctors prepared a special set of glasses with several levels of light filtering that might allow Lucky to see without pain. It worked and better than expected. Over the course of more months, his eyes slowly healed and/ or adjusted until he could see without pain even outside in the daytime. He also finally got to see Samantha, the nurse who had visited and spoken to him each day during the worst part of his convalescence. While walking in a park area of the CIA compound he was in, she told him they were in Ossining, New York, information that had been withheld until then. He began to suspect she had been assigned to him to report to someone else but his instincts also told him he could trust her. Having already learned to walk again and other physical therapies, he finally began working out on weights again until he was exercising for 3 hours a day, running 10 miles at a time, and regaining his former fitness. But all requests to leave the compound were denied and even requests for his CIA partner and lifelong friend, Mickey, to be allowed to visit, were refused. While walking with Sam (Samantha) in the park area of the facility, she suggested that Lucky try to remove his special glasses. This was the moment when he realized he had regained his ability to see without pain and without the glasses dulling his view. This was when he began to notice that everything alive was glowing with an aura. He fixated on a tree that seemed surrounded by a glowing energy field but he noted that it was everything alive. For the moment, he withheld this information from Sam. Besides, after a few minutes, it was giving him a headache and he put the glasses back on. His next step was to go to Charlie Dunn, head of the facility, and ask for his gun back so he could practice on the firing range and get his skills back. Dunn gave the okay to the request. But some gut instinct told him it was a good thing Dunn and CIA Director Dirk Sommerville were not close otherwise he suspected Sommerville would have vetoed this. He quickly found out that his access to the Internet and any phone calls to or from the outside were restricted and he strongly suspected who had done it. As time went on, he was getting used to his newfound vision; his mind learning to interpret what he saw in such a way that he could both see the way he used to and also see the energy patterns that surrounded things. Still, the world was vibrantly brighter than it had ever been before. It was on one of his forays through the park area that he noticed what he could only call an empty space. While everything else glowed brightly to him, it was as if there was a tear in the very air, a nothingness. He never approached it while anyone else was around and never told anyone about it. One night, he took a walk wearing only bathrobe and slippers. At night, the phenomenon was far more pronounced. Rather than just emptiness, it looked like a glowing red curtain hovering about a foot off the ground and measuring about 8 to 9 feet up and down and side to side. He touched it but his hand just went through. He walked through it and nothing happened. Then he noticed there were really two curtains parallel. There was a space between them like a hallway with the two curtains just far enough apart that he could step between them into that hallway. On the other side of the hallway, he saw a castle surrounded by a village which was, in turn, surrounded by walls and a moat. He expected someone to scream and point at him, for there to be panic. But nobody noticed him. He realized he was invisible and even intangible as long as he stayed within the shimmering curtains. He was also too smart to make a completely unprepared foray into an unknown situation. But it quickly dawned on him that, if this was not some sort of mad hallucination, it could be his ticket out of the compound. He made a trip the next night, fully armed. Unfortunately, he immediately ran into somebody, literally, when he stepped through the curtains, and beat a hasty retreat back through to the compound. He then prepared, getting on the Internet, even with his restricted access, and buying medieval clothing after spending time between what he started thinking of as the “time curtains” and studying this other world. He didn’t know if those overseeing him allowed this purchase because they thought he was crazy now but he didn’t care. He then bought a device that translated languages and contacted an expert, Dr. Witherspoon, Dean of Languages at Harvard, describing some of the words he had heard without saying where and determining it was Medieval English. He was then able to get software to translate it back and forth. Studying history books, he found a castle that might be the one he saw. It was located in Berkhamstead in Hertfordshire, England. Judging by the condition of the castle, he judged it to be the 12th century that he had somehow walked into. Prepared with an arsenal of weapons hidden under his medieval tunic, Lucky slipped out to the park the next night and through the curtains into the 12th century. Looking at some of the wares of the merchants in the village reminded him that he had no currency valid in this realm. He saw a knife he would dearly love to buy and then he saw a wrestler meeting all challengers and found he could gain a hundred silver pieces for beating him. He watched several matches and saw that, in the best modern professional wrestling tradition, there was much more allowed than just wrestling, the one difference being that these fights were not choreographed. However, Lucky was highly proficient in several forms of martial arts and defeated the wrestler almost easily despite holding back because he really didn’t want to cause serious injury. In the aftermath, Lucky agreed to fight all challengers for one afternoon, sharing the profits with the ringmaster. He also shared them with his original opponent, a gigantic Nordic man named Tor. They struck up a tremendous friendship. However, Lucky’s unusual fighting style and victories drew the attention of the King, who ordered him brought to him. The King wanted Lucky to fight his royal champion in a wrestling match. Lucky sized up his opponent and saw he was wearing bracelets with razor-sharp edges, making it almost impossible to grapple with him and making it clear that this was hardly the “equal weapons” era of fantasy. Even at that, when Lucky started winning, his opponent grabbed a sword and attacked. Lucky, realizing no one was going to stop him or cry foul, fast-drew a handgun and shot the sword from his hand. This was followed by firing several more shots to keep the guards at bay. Lucky was immediately taken to be a powerful sorcerer beyond anything ever encountered before, far beyond the soothsayers, palm readers, leech merchants, sleight of hand artists and faith healers that were the “sorcerers” of real history. But through diplomacy and gifts (such as a pen-light and music from his phone), he placated the king and queen and won their friendship. While being led through the castle, Lucky saw that, within one of the hallways, there was another of the glowing portals or “time curtains”. He did not have the opportunity to investigate at the moment. The King gave him gifts and allowed him free travel about the castle in return for his oath of friendship. Using that opportunity, Lucky went back to the portal he alone could see in the hallway. He made the mistake of stepping all the way through the curtains and was shocked by the roar of the crowd as he found himself in the back area of the Coliseum in Rome. He recognized it at once, having had the good fortune to have been there in 2009. But this was the Coliseum of Ancient Rome, with a gladiatorial combat going on. Luckily, all eyes were riveted to the battle so he corrected his hasty mistake by stepping back into the curtains. However, he saw that, not far from this time portal, there was not just one other. There were two other time portals. Lucky slipped back into the 12th century and soon returned to the outside of the castle. He slipped through the curtains of energy back into the year 2012. Though he knew this was a risk, he had people he cared about here and did not fancy staying in the ancient past permanently. Interestingly, he simply assumed that, whatever amount of time he spent in the past, the same amount of time would have passed in the present. He turned out to be correct, finding that as many hours had passed in 2012 as he spent in the past. As soon as he returned to the compound, Lucky headed for his room with items that had been given to him as gifts by the king including a dagger and a sword. The first person he encountered was Samantha. He convinced her to take the items out of the compound in her car and send them to his friend, Mickey. She did so and returned. She admitted she had been assigned to him by Sommerville but she was beginning to suspect it was Sommerville, not Lucky, who was engaged in activities she would not approve of. Though she had never disobeyed an order before, everything about this felt wrong. He asked her to accompany him into the park. They got there despite his being searched for since nobody expected a wanted man to be casually strolling through the park with a woman on his arm. But, once they got near the portal and Lucky explained to the disbelieving Sam what he had experienced, they saw Sommerville and some men approaching with drawn guns. Lucky grabbed Sam and pulled her between the two curtains which she, of course, could not see. But she would have sworn that Sommerville and his men opened fire without warning or provocation. Yet they were unharmed. They swarmed about as if Sam and Lucky had vanished and he whispered, admonishing her to keep a hold of his hand at all costs. Then he led her into the 12th century. After giving her enough time to start grasping what had happened, he led her into the castle and through the time portal into Ancient Rome. It was now night and the Coliseum was deserted so he could explore the other two portals. They went through the first one and found themselves back in Ancient Egypt, so far back that the first Great Pyramid of Cheops was just beginning to be built. In the distance, Lucky could see four more time portals. But he again chose discretion as there were too many people about. Retreating back to Rome, they explored the other portal that was there. But it led to a bleak, frozen landscape that he could discern nothing about and that they could not explore without proper attire. So they retreated back into Rome and then into 12th century England. He waited until it was night in this time and then they went back to the gateway in the castle. He experimented, finding that Sam could not pass through the gateway without him even when he told her where it was. Only when they were touching could she pass through. They got back to Egypt at night and he decided to walk all the way to the time portal that was furthest from the one they just stepped out of. They found themselves in France. Conversing with a couple they ran into, they discovered they were in 1607 — the first time they had been able to put an exact year to when they were — in Paris and the Pont Neuf , the first modern bridge in Paris, has just been completed. From there, they returned to Egypt and tried the next time portal. To their delight, this one led to Flushing Meadow Park in Queens, New York in the year 2012, shortly after they had left the present. In fact, when he called Mickey, he found that Mickey had received the mailed package that every day verifying that this portal was in time synch with the other one that led from and to 2012. They contacted Mickey, who got them to a safe house. Then they made arrangements to have the items Lucky brought back from the 12th century sold at auction. Through a lengthy process that took three months, Lucky sold his items at auction for an incredible twenty million dollars. After months, it was finally time for Lucky to take Mickey through the portals. All this time, that was, of course, the one part of all this Mickey didn’t buy. But they went to the park. Lucky led him through the portal into Ancient Egypt, then through the next one into Ancient Rome and then the next into 12th century England. Lucky was proficient in speaking Medieval English by this time but they only stayed long enough to purchase some items and then went through the gateway that brought them into the CIA compound in the middle of the night. Breaking into Sommerville’s office and his safe, Lucky found evidence that Sommerville was taking payoffs from terrorists and that the explosion that had injured him was a setup to kill him before he stumbled onto the truth about the missions Sommerville was sending him on. At first, he wondered why Sommerville would have such information right in his safe but he realized it came down to having the names of the terrorists that would be readily discovered should they ever try to double-cross him. Lucky and Mickey retreated to the portal with copies of the information and went back into the 12th century. They soon went back to Egypt because Lucky wanted to investigate the other portals. But they only had time for one that night. It led into Ancient Sicily. But he was unable to determine the precise era. Back in the 12th century, Lucky and Mickey got involved in a skirmish between the king, King Robert, whom Lucky had met before, and a rival king, which only endeared him to the king more. However, when they returned to 2012 New York, they found that Sommerville had somehow tracked them to their safe house. Samantha was gone and they barely escaped. However, using the portals to get into the compound, they had a stroke of luck when Mickey saw Sommerville’s second-in-command, Jack Kinsey, going to a secluded area of the compound and followed him right to where Sam was being held. That she was merely locked in and had no guards told them that, whatever Sommerville was up to, it was so outside the rules that even most of the agents in the compound could not be allowed to know about it. Mickey rescued her and the three of them got safely through the portal, escaping. Calling in his old friends from the neighborhood, Lucky was able to trail Sommerville to a building he was using for clandestine purposes. They captured Lucky’s ex-boss and searched the premises, finding a computer disk they thought would be important. The capture of Sommerville was attributed to the fact he had become so paranoid and was working so far outside of CIA orders that he was trusting no one anymore, certainly not when going to a building that seemed to figure prominently in whatever secret schemes he had cooked up. In the basement of the building, they found a tunnel and a set of railroad tracks that had been used probably to transport illegal alcohol back in the 1920’s. The rails showed recent use but they had no idea for what. They surmised something was being smuggled out on the rails. They also managed to snag Jack Kinsey and that was their real windfall. Due to a number of circumstances including a dying son who needed massive amounts of money to survive the disease that was ravaging him, Kinsey had become susceptible to being bought and Sommerville had done so with the promise of the money he needed. Now Kinsey was in so deep and involved in things he had never seen coming like the attempted murder of a fellow agent. But he explained what had happened. It was really little more than self-absorption. Dirk Sommerville resented that he had been passed over for a promotion and wasn’t anywhere near where he felt he should be in the Company. He had started using Lucky to steal information. Only, instead of turning that information over to the CIA, he was using it to make contact with terrorists and other groups and blackmail them. In some cases though, he did turn the information over since he had to be seen as accomplishing things. But he took credit himself, never giving credit to the agents under him, especially Lucky. So the CIA barely knew he existed other than his name on their list of agents. They had no idea what a great agent they had as Sommerville took all the credit. But Sommerville was getting paranoid. Sure that Lucky was figuring out what he was really up to, Sommerville finally set him up to be killed. When it failed, he didn’t try again in the hospital because Lucky was always protected. Later, when it looked like Lucky might survive but be brain damaged, it seemed an unnecessary risk. Then, Lucky had vanished. Kinsey was relieved because he finally saw a means out of this nightmare and Lucky promised he would cover the expenses for his son. Kinsey corrected Lucky on one misconception though. Objects were not being smuggled out of that basement on the railway. They were being smuggled in and the objects were small, suitcase size nukes that a terrorist cell planned to use. Realizing they would get no information from Sommerville, Lucky decided to eliminate him in what he thought was the most appropriate of ways since he could not bring himself to cold-bloodedly kill him. He took Sommerville into the 12th century, originally intending to ask King Robert to toss him into a dungeon and leave him there. But, at the last moment, Lucky had a bout of compassion. He gave Sommerville 25 pieces of silver, plenty enough to get clothing and food and shelter for weeks, and suggested that the confused ex-CIA operative start looking for a job and learning the language. He then started into a plan to bring down the terrorists. Calling together both CIA operatives and his old neighborhood gang, Lucky was able to track down and capture the terrorists who were bringing in the nuclear weapons. He personally took the leader of the terrorists into the Ancient Egypt of about 2600 BC and left him there where he was captured and forced to work on construction of the Great Pyramid for the rest of his life. Meanwhile, in the present day, Jack Kinsey was promoted to North-eastern CIA Director. The problem was that, as it turned out, a hidden camera in the CIA compound had filmed Lucky and Samantha stepping into the portal there. From the camera’s view, they had simply vanished as if they had stepped through an invisible door in the air and become invisible too. Once it was determined that the film was not doctored in any way, Jack’s new boss ordered him to find out how they did it. Kinsey told Lucky what had happened and Lucky decided to take a big chance and reveal the secret of the portals. Unfortunately, it turned into exactly the nightmare he feared it would and he had to admit this was his biggest tactical mistake ever. He found himself locked into a cell in the CIA compound, a commodity awaiting exploratory surgery to find out what precisely had happened to give him this ability to see and step through the portals. By a stroke of luck, he saw the faint glow of another portal in a cell close to his own. Even in the other cell, the problem was that the portal was located within the bars of the cell. It was agonizingly painful to force his way in but once he got an arm and leg in, the “reality” of the portal seemed to overpower the reality of the outside world and he slipped into the portal, emerging in a forest near a lake. He was close to a river and spent days following it, fishing with a makeshift pole. He laughed when he saw a jet overhead. He eventually found a road and learned that he was in Australia near a place called Alice Springs. The portal from the compound to Australia had only taken him a few days back in time. Since he had spent a few days there, it was the same day now as the one when he escaped the cell. He did what he always did. He made friends and was generous. He was very generous to the poor, elderly man who gave him a ride to town, buying him a new vehicle and then making contact with his allies in America with a throwaway phone. They came to get him and he went back to the States using a fake passport and ID. Although it took quite some time and he had to play on the man’s greed and power lust, he was able to set up the CIA director who had planned to use him as a guinea pig and stepping stone and the man instead ended up being stranded in Ancient Rome with a few gold coins and a chance to survive and live but no guarantees. Lucky along with Mickey then returned to Ancient Egypt because there was still one portal there that Lucky had not so far been able to investigate. As they entered the portal and Lucky started to exit the other side, he jumped back into the portal, more terrified than he had ever been in his entire life, even when he was flying through the air as a result of the explosion or when he thought he would never see again. Outside the portal, looking right at him, was a Tyrannosaurus Rex. Time or relative dimensions in space? Once Lucky vanished back into the portal, the T-Rex almost instantly forgot about him and turned its attention to a woman and child it was after. Lucky and Mickey leaped from the portal, guns blazing. Lucky yelled to Mickey to use one of the grenades they had. This finished the T-Rex. Upon closer examination, Lucky noticed the woman and boy were not quite human but a close earlier stage of evolution. Lucky was confused. He knew that dinosaurs had vanished millions of years before anything resembling humans appeared on Earth. For the first time, he began to consider that maybe these portals were not time travel at all but really dimensional gateways to other realities. Or perhaps some were time gates and some dimensional gateways and some were both. After all, there had been the gateway where he found himself displaced by several days but essentially in his own time. There was also the question of why he had found three gateways leading to early 21st century Earth and the real possibility that these were not natural phenomena. But, for the moment, he helped the tribe he found in this time, whenever it was, and then returned to the 12th century. He revealed to King Robert and Queen Alexandra part of the truth, that he was a time traveler from the future and that his magic was advanced science. They took it rather well, especially considering that Lucky planned to bring them many more gifts from his time. Returning to the present, Lucky and his friends decided to take a long vacation before engaging in any more adventures. Lucky Campo is described as being tall and in excellent shape. He is highly skilled at martial arts as well as being a master jewel thief. He lives up to his name, luck almost always seeming to be on his side. He is very charismatic and makes friends and allies easily. He is the sort of character who can go from a complete stranger to having the trust and respect of everyone around him in five minutes. I am not well-versed in DCU time travel or time travel characters. But, if we go with the idea that his time travel is really alternate reality travel, Lucky might well find himself in the DCU or might find that someone from the DCU is responsible for the time portals. Then again, the story could be in the DCU and focused on the more mundane exploits of everyday CIA operatives except for the discovery of the portals. The thing with his eyes is very reminiscent of Doctor Mid-Nite. Samantha might be replaced by Dr. Beth Chapel, secretly rescued by the CIA after her apparent death and fixing grievously wounded agents but coming to suspect that something is off. Sommerville might be replaced by the modern Spy-Smasher, with minor modifications to the plot. IIRC several intelligence agencies have also attempted to force Catwoman to work for them as a thief, though I don’t precisely remember these stories. Campo might have been inducted among the Linear Men for a time, only to narrowly escape as Rip Hunter attempted to lock him away at Vanishing Point and break all contacts with the organisation. Detect Time Portals is “line of sight” so he must have a clear view with no obstacles even if a portal is within his range (FC -1). Dispersal is Area Effect (FC +1) but only works while standing in the precise locations where time portals exist (FC -4 as that is very restrictive). Invisibility is Area Effect (FC +1) and affects sight, hearing and smell/ taste but only works while standing in the precise locations where time portals exist (FC -4 as that is very restrictive). Teleportation is Area Effect (FC +1) but only works when standing within a portal and is uncontrollable as the user will only be teleported where the portal leads (FC -4 as this is very restrictive). Time Travel is Area Effect (FC +1) but only works when standing within a portal and is uncontrollable as the user will only be transported through time to wherever that specific portal leads (FC -4 as this is very restrictive). Vehicles is limited to cars. Buddy (Samantha and Mickey), Connoisseur, Gift of Gab, Languages (Modern Italian, Old English, Medieval French and Modern French), Lightning Reflexes, Luck, Omni-Connection, Scholar (History), Security Clearance (Low), Sharp Eye. CIA (High), Mob (Low), Queens New York Neighborhood and gangs (High), Dr. Lyman Witherspoon (Low). Small translator ear-piece [BODY 02, Comprehend Languages: 12. User must know he will require a specific language and have it programmed into the device ahead of time. FC -1. There is a brief delay (0 APs) before the device translates what the user says into another language or what someone else says into the user’s language. FC -1, R#02]. Handgun (various) [BODY 04, Projectile Weapons: 05, Ammo: 20, R#03]. These stats are an upper bound, corresponding to a future-era firearm. Knife (various) [BODY 03, EV: 03 (04 w/STR, 07 w/Martial Artist)]. Small Knife [BODY 02, EV: 02]. Holdout ankle gun [BODY 02, Projectile Weapons: 03, Ammo: 06, Miniaturization: 01, R#04]. He also carries a Zippo lighter, a book of matches, a pen-light and a cell phone. I did not provide any quotes. This was intentional. Sad to say, the character really does not say anything unusual or profound. It is more in his actions and the narrative about him that he shines. Thermal Vision and Ultra Vision are a judgement call. Several times, his enhanced ability to see things more brightly is mentioned in the book though there is one incongruous scene where he seems to utterly lack any unusual night vision. Yet, in another scene, his ability to see well in the dark was mentioned. It may be debatable whether Lucky really has the powers associated with the time portals or if he merely has the power to detect them. But, as he is the only character in the story who can detect them and only he can use them (though he can take other people with him), I gave him the powers of the portals. By the end of the story, there is some question as to whether the portals really send a person through time or into other realities. But, if it walks like a duck and talks like a duck, then it’s a duck. Every portal leads to what seems in every way to be a past time period with one exception and even that seems simply a variation on a past time period. It meets the game criteria of Time Travel far more than that of Dimension Travel. Lucky switches guns and other weapons numerous times during the story. I tried to adhere to the description of how one or two of the weapons functioned while being fairly generic since he switches guns often. 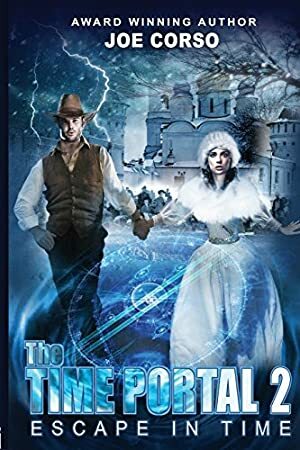 Source of Character: The Time Portal series of novels by Joe Corso and Deborah McCarthy with this writeup focusing on the first book only. Writeup completed on the 5th of December, 2015.